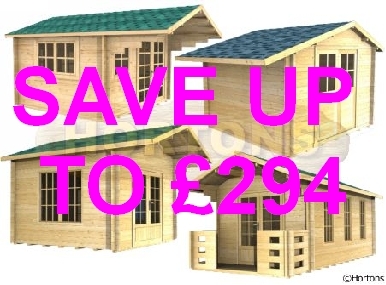 Log cabins and garden buildings - huge range, great value! 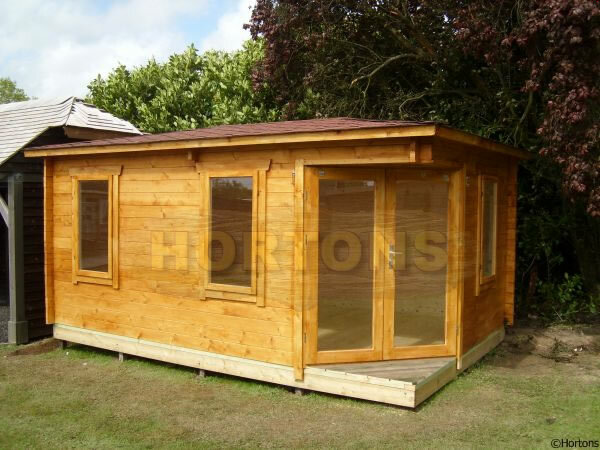 Hortons Log Cabins for sale are available in a wide range of sizes, styles and wall thicknesses, all made by a dedicated factory to meet our customer’s requirements- they are not available from anyone else. 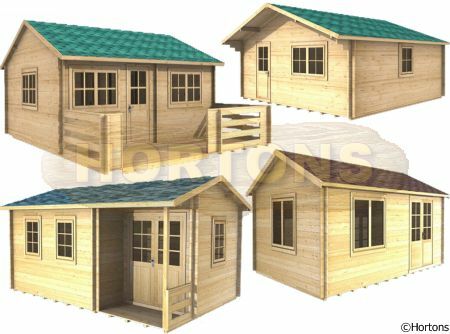 If you are looking for log cabins for sale, then you've come to one the longest running garden building companies around (est 1985), with experts always available should you wish to discuss any aspect of log cabins or garden buildings. Custom and bespoke designs are not a problem for us - if it's possible to make something, then we can supply it! The wall log thickness that you require will either be determined by the use that you intend to use it for and/or the size of the building- the thicker the wall, the stronger and warmer it will be (not forgetting that heat rises, so the warmth of the cabin will also be reliant on how well insulated the roof and floor are). 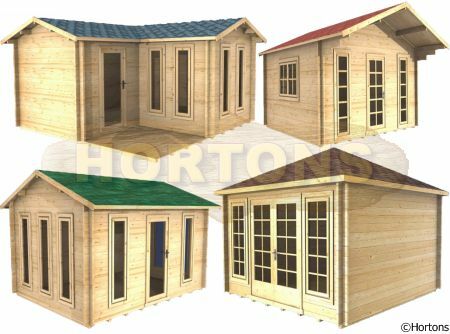 Smaller log cabins, which are ideal for storage, garden workshops or summer houses, do not require insulating or the thicker logs because the only requirement is that the structure is strong enough for a weather proof outside room- in this instance 28mm, 35mm or 45mm logs will suffice. 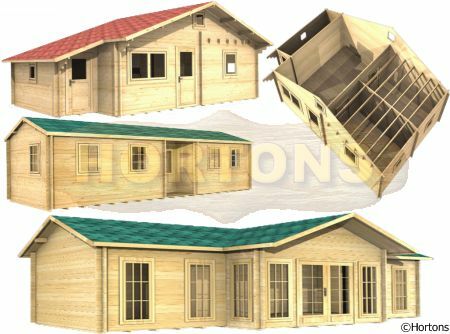 If, however, the intended use for the log cabin is for leisure and games rooms, poolhouses or gyms where a degree of warmth is required as well as structural integrity for what are usually the more large log cabins and buildings then you should opt for 60mm, 70mm or 90mm thick logs (not forgetting that the roof and floor should still be insulated). If you like the rustic look of the Canadian lodges, then we can offer either full round log walls or "D" pattern logs (rounded external face with a flat internal finish). The range of thicknesses for these logs is 90mm, 120mm, 140mm, 160mm, 180mm and 200mm. 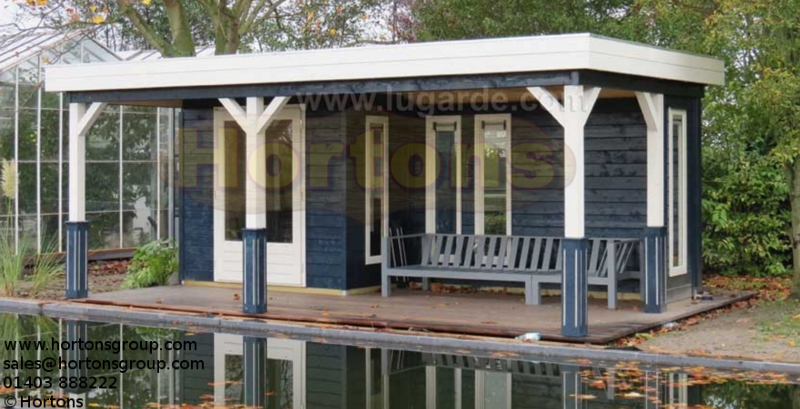 Single skin cabins make wonderful, economic outside rooms but if you intend to use use the space all year round then you should think about our twinskin specification. 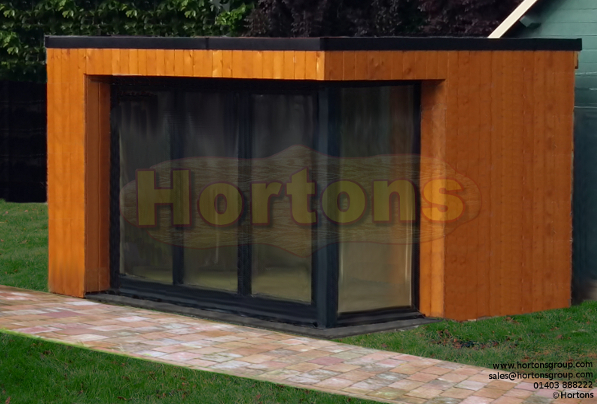 We offer our twin walled cabins which are made with a 50mm wall cavity between 2 sets of wall logs, the choice of wall logs being 28+28mm, 35+35mm and 45+45mm (all built with floor and ceiling cavities for insulation as well). 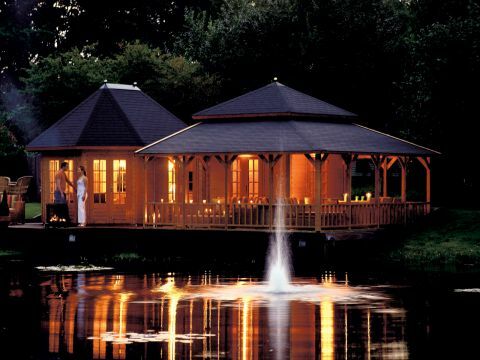 These cabins exceed the insulation values required for mobile homes which makes them nice and comfortable throughout the depths of winter, and if you opt for our Celotex insulation kit then it will also reverse this in the summer, and keep it cool inside during the hotter spells as well! 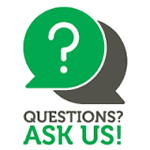 Should you wish to live in one of our log cabin homes (as opposed to the "mobile cabin home" specification, for which our standard twinskin specification will comply), then it will need to fully comply with building regulations regarding both strength and insulation. The 3 wall thicknesses that we can offer for this use are 45+45mm, 60+60mm and 70+70mm log walls, all which have a thicker than standard wall insulation cavity which can then be filled with phenolic insulation boards (Celotex, Kingspan, Ecotherm, etc). This specification also has larger floor and ceiling cavities for thicker insulation in those areas as well. 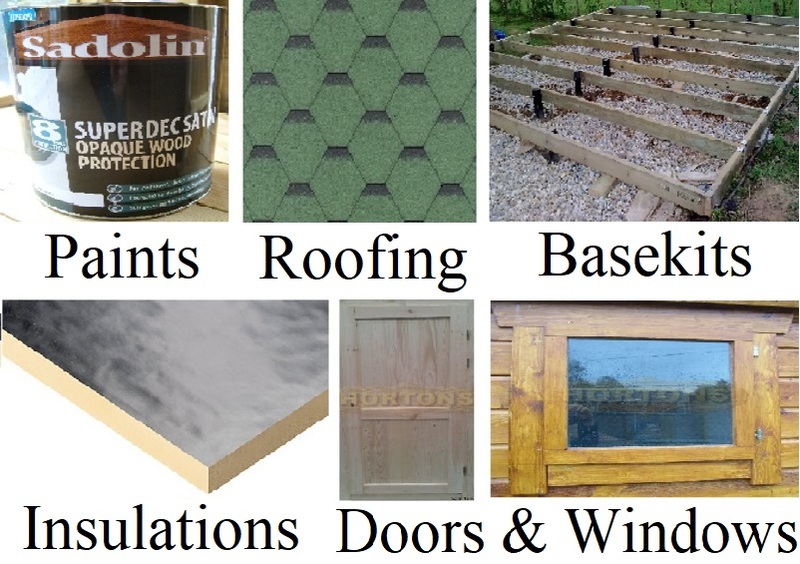 We also offer many other options for each of our buildings- different roofing materials, various window and door specifications and designs, factory finishes to a colour of your choice, the list goes on and on! 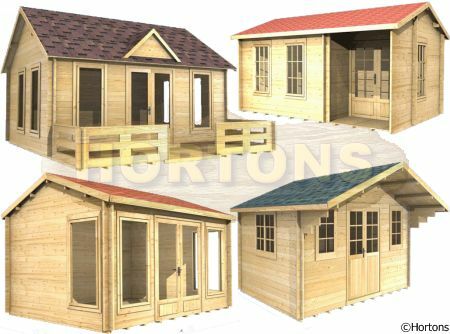 Not forgetting that because we have our own dedicated factory, you aren't stuck with standard designs that aren't really what you're after- we can supply bespoke made to masure log cabins and custom built log houses to your own specification and design at a fraction of the price that you probably think it will cost. 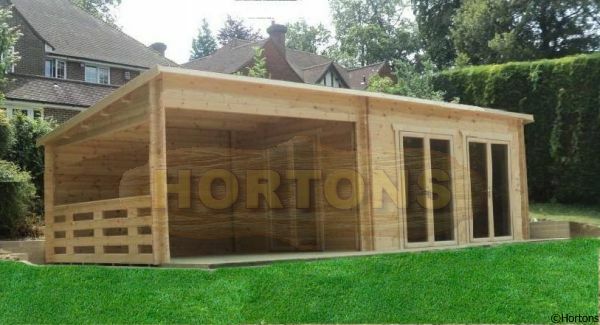 So whether you are looking for a standard size (4m x 3m, 4m x 4m, 5m x 4m, 5m x 5m log cabins etc) or a non-standard size (which can be made to the nearest millimetre in any dimension) to suit your site, insulated or un-insulated, then Hortons can offer you the solution you require. 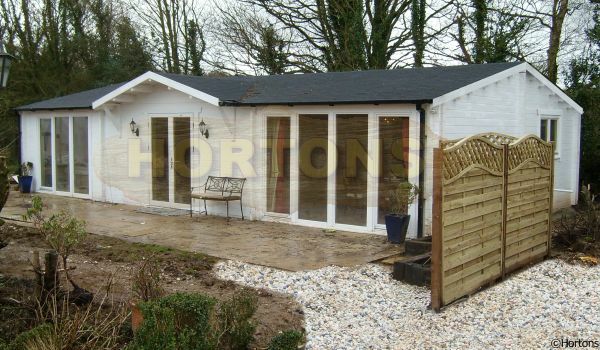 As well as single or double timber framed garages, post and beam garages and log cabin style interlocking timber garages, we can supply many types of garden timber buildings such as children's playhouses, insulated home offices, wooden sheds, garden buildings, sectional panel buildings, pavilions, summerhouses and many other options. We can also supply to our customers sizes and specifications. 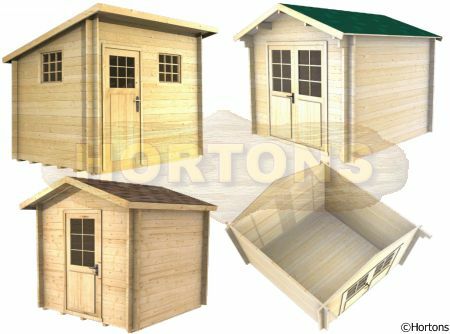 We can advise you on any aspect of our timber buildings from floor plans to installation of garages or buildings.